With a vast natural range that extends across the cooler temperate regions of the northern hemisphere, in a circle right around the globe, (from Britain and Scandinavia in the west, through Europe, Russia and Siberia, into northern China and Japan, across northern North America and on to Greenland and Iceland beyond) birches have played a hugely significant role in shaping not only the natural environment but the culture and beliefs of millions of people around the world. When I first began the research, with a brief to present an 'all-round portrait' of birches for my book, simply entitled 'Birch', I had not imagined how significant this influence would be, how ancient, how far-reaching, how supremely useful birches are, or that long-held beliefs about these enigmatic trees would still survive in regions that are geographically and culturally so far apart today. Here I present a brief summary of some of this research. Belonging to the Betulaceae – a family of flowering plants that also incudes the hazels (Corylus spp. ), hornbeams (Carpinus spp.) and alders (Alnus spp.) - the genus to which they are most closely related – fossil evidence tells us that the genus Betula is very old and that it was in existence before the dinosaurs became extinct about 65.5 million years ago (Ashburner and McAllister, 2013). 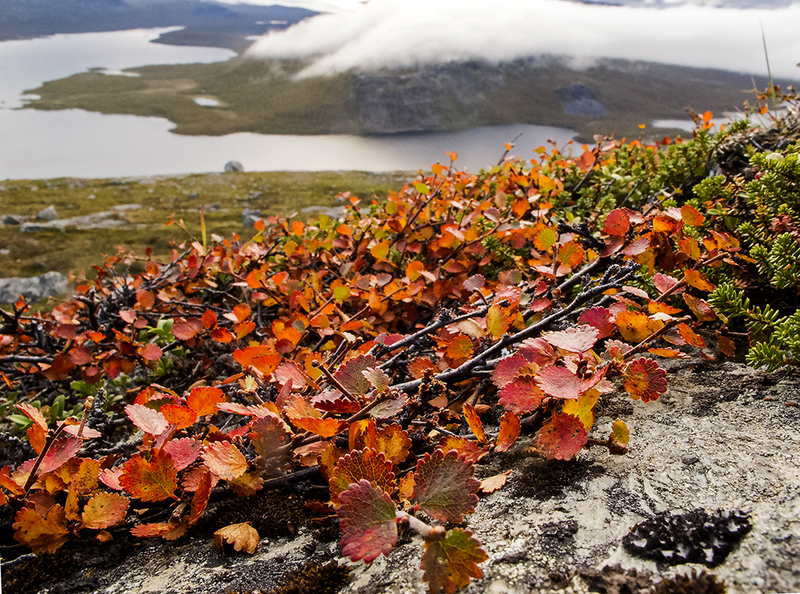 Today, birches, taking many different forms, are found in a great variety of environments, from the frozen expanses of the Arctic circle, where the shrubby dwarf birch B.nana, reaching only 1m in height, comprises an important part of the tundra vegetation, to the temperate rainforests of eastern Siberia and Korea, where B. costata can become a magnificent tree some 30m tall. Thriving at different altitudes, from sea-level to high mountain valleys, they are found as far south as northern Morocco in Europe/Africa, northern Thailand in Asia, and northern Florida in North America. Adaptation to such varied habitats and environmental conditions has led to great variation in outward appearance, not just between birch species but among groups of the same species, especially those that have huge natural ranges, such as the silver birch (B.pendula) - almost circumboreal in spread - and the paper, canoe or white birch (B.papyrifera) which extends from coast to coast across North America. This lack of uniformity and the fact that, wind pollinated, birches interbreed so easily, has made correct identification a particularly difficult job. Between 40 and 50 species are believed to exist today - the figure of 46 is currently accepted by leading taxonomists - divided, at the simplest level, into those that have white bark (though actual bark colouration and texture varies tremendously) and the 'thirty or so' described as having brown or darker bark (Ashburner and McAllister, 2013). In Europe it's our native white-barked species, the silver birch and, more cold-tolerant, downy birch (also known as the white birch) (B.pubescens), we're likely to be most familiar with, but the great popularity of birches as amenity trees in our gardens and urban spaces has brought cultivars of a small number of others to the fore, notably, of the paper birch and of B.utilis, a group of Himalayan birches, and these species also figure prominently in the list of those that have been of the greatest service to mankind. Alongside the invaluable ecological roles wild birches fulfill – colonizing clearings, filling gaps in forest expanses, improving acid soils with their leaf fall, paving the way, as pioneers, for the establishment of other species, providing food and habitats for wildlife - for countless people of the northern hemisphere birches have provided a vast reservoir of raw materials for daily life. Every part of these obliging trees is useful. Leaves, twigs, branches, roots, wood, sap, and above all, bark, have given people of the northern forests the tools not simply to survive but flourish and express their identity in practical and spiritual ways. 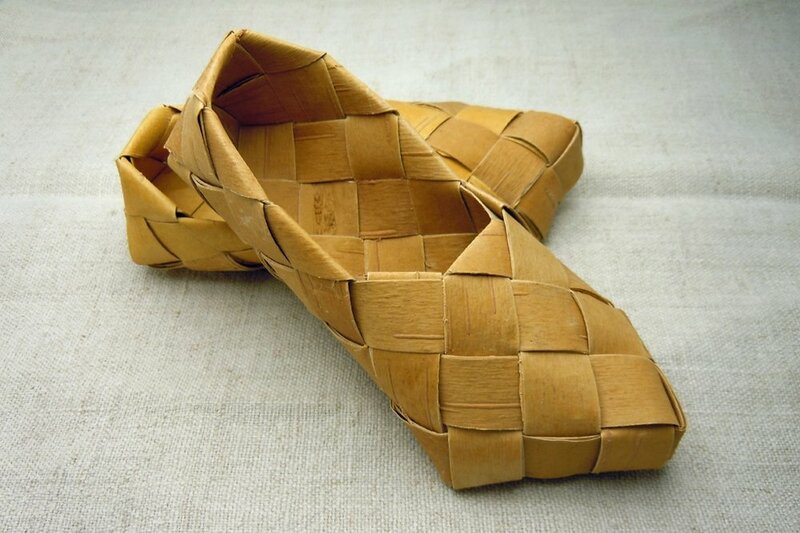 Tough, lightweight, waterproof and flexible, birch bark has proved particularly versatile, providing everything from housing and transport materials to clothing, footwear, cordage, basketry, musical instruments, medicines and food, as well as a means to communicate and to record sacred beliefs. For Native American woodland peoples birch bark helped shape an entire way of life (Erichsen-Brown, 1989). Because of the enormous mobility their canoes gave incoming traders and fur trappers, who traveled vast distances in these precision-built craft, exploiting Native American knowledge and skills, according to survival expert Ray Mears ‘you could almost say the birch bark canoe built Canada’ (Mears, 2012; Kent, 2002). Resources from birches have traveled far beyond their forest homes to touch the lives of many of us today. 'Birch water' now widely available in supermarkets and promoted as a low-calorie health drink, replete with minerals and vitamins, is birch sap obtained by tapping the trees in early spring. Appreciated since ancient times by peoples across the northern hemisphere as a tonic after the long winter, it was consumed fresh or commonly, fermented to make various alcoholic drinks. Traditionally considered to have numerous health benefits and to be good for the skin and hair, large quantities were said to have been drunk by Queen Victoria whilst in Scotland, in an attempt to 'halt the thinning of her hair' (Milliken and Bridgewater, 2013). Until the collapse of the Soviet Union in 1991, the centralized collection of sap -- widely and cheaply available there - was undertaken on an industrial scale. Following the Chernobyl disaster in 1986, consumption fell dramatically since this nuclear plant was located in the main birch sap producing region in the Ukraine (Svanberg et al., 2012). This country however, alongside Russia, Belarus, Estonia, Finland, Latvia and Lithuania has continued as a major sap producer. Another product from birches widely consumed today, though its origin is not generally advertised – is xylitol, a white crystalline substance that is as sweet as sucrose but with some 40% fewer calories. Obtained in Europe by processing the liquid derived from chemically-pulped birch wood (though often supplemented with other tree species and generally replaced by corn cobs in the USA) its main use is as a sugar-free sweetener for chewing gum – a use valued at hundreds of millions of dollars annually (‘Xylitol’). Xylitol is commonly found too in oral health care and dietary products as well as various cosmetics and pharmaceuticals. Birch wood may also be present in our homes today in a quite different form. Eminently suitable for veneers which give a decorative surface to coarser woods, it is much used for contemporary furniture. But the unique qualities of thin sheets of birch, which when glued and pressed together under pressure produce a laminate wood that is light, extremely strong and dimensionally stable, has made birch plywood suitable for a range of other construction purposes including, mostly in the past, the building of aircraft. Two models are particularly well known: the WW2 de Havilland Mosquito, constructed from birch plywood over a balsa wood frame, and the infamous H4 Hercules, the brainchild of millionaire Howard Hughes. Inappropriately named the ‘Spruce Goose (since it was also made almost entirely from birch) and only ever making one brief flight in 1947, it is still the aircraft with the largest wingspan ever to fly (‘The Aviation Zone’). Birches have long been valued in traditional medicine - their bark particularly so. The source of birch tar (also used for thousands of years as a waterproof sealant and glue) hailed in Russia as ‘a remedy against 100 diseases’ (Zyryanova et. al., 2010) it has been used to treat a great range of maladies, but especially those affecting the skin. Containing an array of useful chemicals, some of the compounds found in birch bark and birch tar, including betulin, show anti-cancer and other activity and are the focus of much contemporary scientific research (Alakurtti et al., 2006). Alongside their practical uses birches have inspired a special reverence since ancient times and been widely regarded as holy or sacred trees by the peoples who have lived among them. Associated with birth and fertility, purity and light, good fortune and protection, and generally referred to as female in European folklore, an ambivalence, however, surrounds the symbolic representation of the tree. As reflected particularly in much poetry and art, it has also come to be connected with darker forces – with notions of sorrow and loss and the realm of the dead, as well as punishment. Anciently associated with witchcraft, it was once widely believed that bad spirits could be captured by becoming entangled in birch twigs (Frazer, 2012). ‘Birching’, beating a person, and particularly children, to punish them - a practice which continued in parts of the British Isles until the late 20th c. - was linked to this notion of the ability of birches to remove evil. A widespread belief that still persists in Eurasia and North America is of the birch as a guardian tree, straddling two worlds. To the Buryat people of Siberia, this, their most sacred tree, is seen as a link between the earth and the realm inhabited by spirits. During a shaman’s initiation ceremony a birch tree has traditionally been climbed to gain entry to this upper world in order to form a relationship with the spirits residing there, who it is believed, will guide him or her henceforward (Turner, 2016). Elsewhere in the world practices originating in equally ancient symbolic associations still continue today. In parts of Scandinavia as well as other regions of Europe and parts of Russia, the arrival of spring and summer are still celebrated as they have been since the distant past with the help of birch. Green leafy branches -- as ancient symbols of new life and fertility - are gathered to decorate maypoles or make garlands for people or animals, buildings and belongings. In England, where the past presence and significance of birches is recorded in place names such as Berkhampstead, Birkenhead and Birkhall, their branches are still used today at Whitsun to decorate one church -- St John the Baptist -- in the small town of Frome, in Somerset. They are gathered by local people from woodland on the nearby Longleat estate. But birches are not only of use to country dwellers. Silver birches are able to thrive in urban situations and have been found to be among 'the most ozone-tolerant' of central Europe's woody plants (Ashburner and McAllister, 2013). Recent research has shown that, as street trees, they are able to absorb more than 50% of the particulate dust containing toxic components generated by passing traffic (Maher et. al., 2013). After temporarily installing a row of young silver birches at the kerbside outside houses in one Lancaster street, and measuring the concentrations of particulate matter entering them, it was shown that the trees' leaves are remarkably efficient at filtering pollution and cleansing the air, trapping particles in the fine hairs and ridges on their surface. Whether for practical or spiritual purposes, birch trees benefit us all. Alakurtti, S., Taru, M., Salme, K., Jari, Y. (2006). Pharmacological Properties of the Ubiquitous Natural Product Betulin. European Journal of Pharmaceutical Sciences. 29, pp. 1-13. Ashburner, K and McAllister, H. (2013). The Genus Betula. 1st ed. London: Royal Botanic Gardens, Kew, pp. 5,118, 4, 285. Frazer, J. (2012) The Golden Bough: A Study in comparative religion. Cambridge University Press: Cambridge. Kent, T. (2002). Birchbark Canoes of the Fur Trade. Ossinike MI: Silver Fox Enterprises. Maher, B., Ahmed, I., Davison, B., Karloukovski, V., Clarke, R. (2013). Impact of Roadside Tree Lines on Indoor Concentrations of Traffic-derived Particulate Matter. Environmental Science Technology. 47 (23) pp. 13737-44. Milliken, W and Bridgewater, S. (2013). Flora Celtica. Edinburgh: Birlinn Ltd. p.57. Svanberg, I., V. Sõukand, R., Łuczaj, Ł., Kalle, R., Zyryanova, O., Dénes, A., Papp, N., Nedelcheva, A., Šeškauskaitė, D., Kołodziejska-Degórska, I., Kolosova, V. (2012). Uses of Tree Saps in Northern and Eastern Parts of Europe. Acta Societatis Botanicorum Poloniae, 81(4) pp. 349-50. The Aviation Zone, ‘Hughes HK – 4 (H4) “Spruce Goose”’. [Online]. [30 November 2016]. Anna has been researching and writing about the importance of plants to people for many years. This work began in the 1980s with her study of manioc (Manihot esculenta) in the culture and mythology of the Matsigenka of the Peruvian Amazon for her MPhil (from the University of St. Andrews' Centre for Latin American Linguistic Studies, today the Centre for Amerindian, Latin American and Caribbean Studies). In Latin America she has also conducted ethnobotanical research in Ecuador (on medicinal plants), Brazil (with rubber-tapper communities) and Chile (with the Pehuenche), and, deeply concerned about the rights of indigenous peoples, is a long-standing supporter of Survival International. She is the author of several books for children on rainforests and their peoples and co-author of 'Ancient Trees: Trees that Live for a Thousand Years', but is perhaps best known for 'Plants For People', a study of the ways in which products from plants support our daily lives. Her latest book 'Birch', explores the cultural and ecological significance of birch trees.